With less than 24 hours to the exit of President Goodluck Ebele Jonathan as President and Commander-in-Chief of the Nigerian Armed Forces, it is mixed feelings for staff of the State House Abuja where he held the reign of power for six years and 22 days. Generally, many will miss the man who changed the dynamics of the Nigerian electoral system by conceding to his opponent, President-elect, Major-Gen. Muhammadu Buhari (rtd), even before the Independent National Electoral Commission had announced the result. The level of angst against Jonathan within the vicinity of the Aso Rock Villa area could be seen in the result of the March 28 Presidential poll where he lost massively to Buhari in one of the polling booths located at the outer pilot car park beside the National Broadcasting Commission (NBC) headquarters. As a source told The Guardian, “this President is leaving behind a disgruntled workforce.” As the occupant of the most prized seat in the country, expectations of workers were high. But overwhelming opinion of State House staffers is that he is leaving them worse than he met them. Most of them will be quick to voice their disappointment as it is clear he is following the example of Chief Olusegun Obasanjo in leaving office without behaving like former military Heads of State, Generals Ibrahim Babangida and Abdulsalami Abubakar, who held farewell meetings with the workers and lavished them with gifts. This realisation is contributing to the low morale in the State House. A source said: “The hope of the workers, especially those in the civilian wing, has dimmed as there is not going to be any parting gift for them. This is the same scenario for the protocol, media and personnel of the security system comprising the military, police, State Security Services and Civil Defence. There is not going to be a thank you from the president. The apprehension of most of the personnel, especially those of the security department, is that they are likely to be transferred out with the coming of Gen Buhari. This is because as is the tradition, with the swearing-in of the new President scheduled for Friday, some, if not most of the security operatives in the Villa are expected to be deployed out of the Villa to states across the federation. Their fear is that when that happens, their hope of striking it big could disappear like a pipe dream. This is because most personnel posted to the Villa are seen as privileged. Most of them had either lobbied to be posted to the Villa or just deployed based on recommendations. But for most personnel, the Villa has become the graveyard of dashed hopes. It is now a place of grumblings and complaints. The result is that the present crop of security operatives seems to be the most compromised in Nigeria’s seat of power. For instance, they openly go after the “President’s guests” or other important visitors to the State House, asking for gratifications or gifts. And to compound matters for them, the number of prized “guests” dwindled in the last one year, not to talk of the last three months of the election campaigns. The number dropped drastically since Jonathan lost the Presidential elections. On the average, the Presidential Villa hardly received up to 10 external guests now as against an average of 20-30 guests that trooped in to see him daily prior to the elections. The low number of visitors and the seeming low morale of personnel may have accounted for the relaxation of security checks around some important entry and exit points of the seat of power. While some important gates like the Pilot and Number 1 gates are strictly manned without compromise, the hitherto unfriendly attitude of the operatives within the vicinity has gradually disappeared, giving way to a more relaxed atmosphere around the Villa. Generally, the President’s style of governance is at the root of all the issues concerning the Villa, just as in the country. 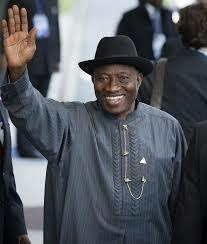 Throughout his over six years as President, Jonathan never displayed striking hands on approach to governance. He preferring to spell out his expectations, leaving his aides and appointees to take the lead in the way they conducted his affairs. And no matter the situation, he never showed his anger publicly. Like what happened during the malfunctioning of the card reader machines during his accreditation to vote in the March 28, 2015 elections, this President will always find the best angle to calm nerves around him. With this posture, his appointees are so comfortable around him even when the tasks they were assigned were going wrong. It was common knowledge that the refrain was that “nothing go happen” to anyone around him whether they do right or wrong. The impression was created that he doesn’t have the ball to kick out any underperforming official as all you need is to contact one or two of his trusted aides who will ensure you are secure always. His laid back style did not fit the environment of Nigeria where the fear of Presidential sledgehammer is the only anti-dote to corruption or other misdemeanour. Based on this, things got so bad that officials of the State House Abuja were openly asking for gratification before President Jonathan could attend events. For example, officials of the office of Chief of Staff to the President were generally alleged to be accepting gratification from Nigerian Navy top officials as consultancy fee before they scheduled the President to the commission of the first locally built Seaward Defence Boat (SDB) in Lagos on June 1, 2012. Besides, officials from same office also allegedly collected “facilitation fee” before they scheduled Jonathan to attend the commissioning of Defence Intelligence Agency (DIA) headquarters in Abuja in late 2013. There were reported instances of influence peddling where some of his aides were said to have collected ‘sweeteners’ in order to arrange meetings with the President. They were also said to be blocking those who didn’t come through them from seeing the President, even when they were formally invited. This situation prevailed because President Jonathan, while naturally trusting so easily, his ability to constantly verify was not easily noticeable. He relied on people whose absolute loyalty to him was suspect. People around him were largely seen as too selfish and provincial and therefore not urbane enough to understand the dynamics of events and how to use them to the advantage of the President. They were more interested in their personal agenda than in furthering those of the President. By general acclamation, the only exceptions were the duo of the late Special Adviser to the President on Research, Documentation and Strategy, Mr. Oronto Douglas and the President’s Aide De Camp (ADC), Col Ojogbane Adegbe. Another aspect of the Jonathan Presidency was that whereas there was laid back style by him, his wife, Dame Patience had an activist tenure for the non-official title of First Lady. In fact, the fear of Dame Patience was the beginning of wisdom. She campaigned for women issues and didn’t hide the fact that she was interested in women empowerment. Again, she fights for his workers and their interests. For the protocol officers, they would rather remove the name of President Jonathan’s aides from a trip than tamper with that of his wife. And from the grandeur of the physical structure of the office of the First Lady, which dwarfs the Spartan office of the Vice President, nobody could take her interests for granted. The result was the tone of Jonathan’s Presidency, which began with heightened expectations during his declaration to contest for full term as President in the 2011 presidential elections on 18 September 2010 at Eagle Square Abuja was not met. Jonathan had stated: “Let the word go out from this Eagle Square that Jonathan as President in 2011 will herald a new era of transformation of our country; an era that will end the agony of power shortage in our country. Let the word go out from here that I will be for the students, teachers and parents of Nigeria, a President who will advance quality and competitive education. Let everyone in this country hear that I shall strive to the best of my ability to attain self-sufficiency in food production. Let the word go out that my plans for a Sovereign Wealth Fund with an initial capital of $1billion will begin the journey for an economic restoration. This restoration will provide new job opportunities and alleviate poverty. Let the word go out that our health sector will receive maximum priority in a new Jonathan administration, a priority that will ensure maximum health care and stop our brain drain. At his swearing in for his full term on 29 May 2011, the President committed himself, among others, to executing the 4Es – Electoral Reform, Electricity, Energy/Security and Education. But ahead of the celebration of the 100 days of the President Goodluck Jonathan’s full term as President on 05 September 2011, Presidential spokesman, Dr Reuben Abati, was already on the defensive. He addressed State House journalists to dispel the creeping pessimism in the land and the impression that nothing was happening in the country to show that his administration would deliver on promises. Even by September 2011, critics had accused the government of being more forthcoming on intents and pledges of commitment than on any concrete achievement. They point to the continuing degradation of inter-state highways, the still epileptic electricity, deprecating poverty among citizens, insecurity and violence within the country. His government was not fast enough in addressing the real concerns of the citizens, the opposition say. Abati had asked for more time to meet on the commitments. With just a day to the end of the tenure of President Jonathan, many wonder if the Presidential spokesman would echo same sentiments today. And as President Jonathan leaves Aso Villa to his home town of Otuoke, Bayelsa State, what was clear on his first 100 days remains the truth today as he leaves office: His style of governance never energised his supporters nor decimated the ranks of the opposition. Rather, under his watch, the opposition mobilized under his watch right from his first day in office to capture and hold majority of Nigerians to their side. His retinue of aides were of no use in this area nor were his party (Peoples Democratic Party) and his supporters.